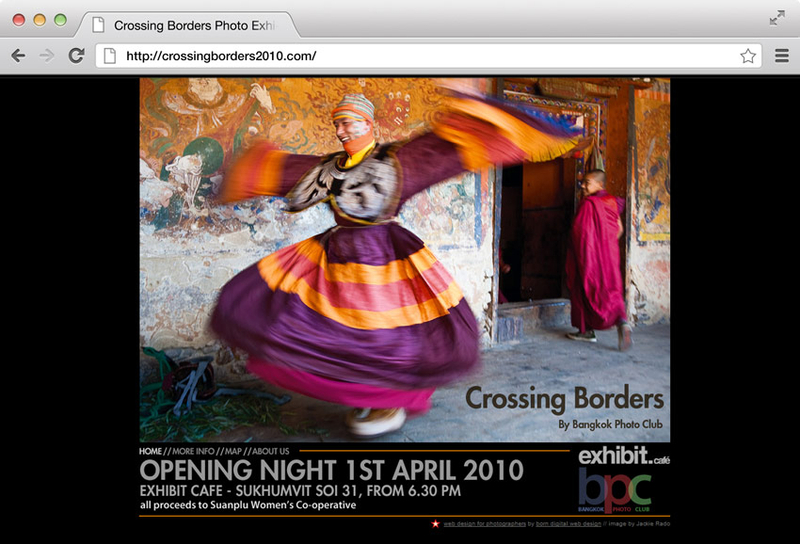 Launching their first photographic exhibition, Bangkok Photo Club raised the profile of the event with this minisite and a facebook fanpage. The Crossing Borders exhibition was put on by a group of expatriates living in Bangkok and it brought together a body of work from their collective travels outside of Thailand. The minisite server to bring all the details of the event onto a quick loading and slick looking site. It also integrated with Facebook by having a ‘like’ button and a corresponding Fan page on the facebook site, which we also developed. The facebook campaign allowed the word to spread quickly among the groups exisiting social circle.